“This instructable shows how to control an array of 8x8 LED matrices using an Arduino Uno. 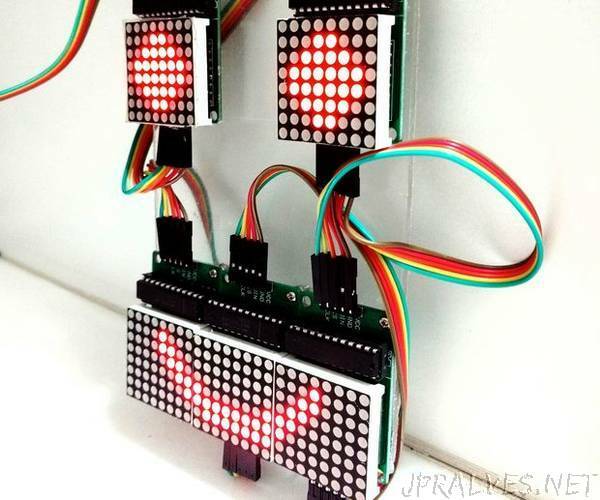 This guide might be used to create a simple (and relatively cheap display) for your own projects. This way you might display letters, numbers or custom animations.